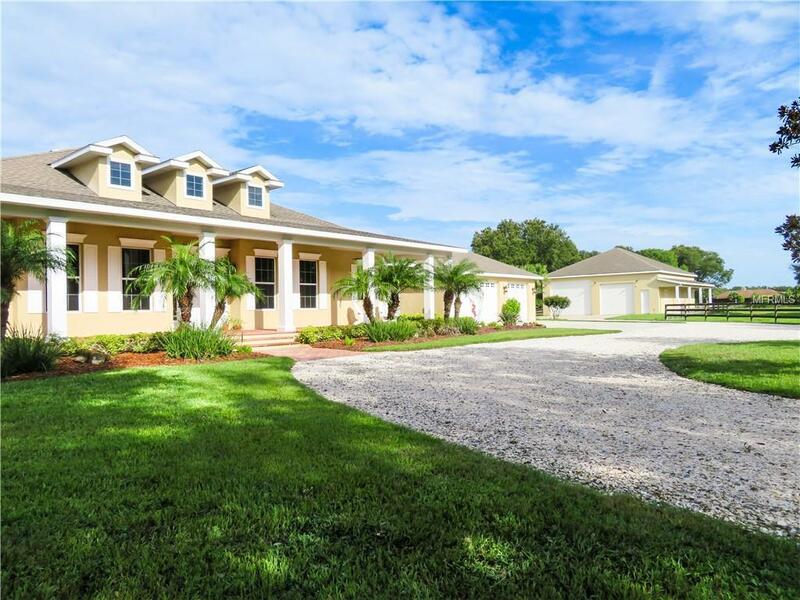 ONE OF A KIND ON THE MARKET w/2000SF Detached RV/Car Collector Garage that matches a Magnificent Plantation Style Estate Pool Home located on 6 Beautiful Equestrian Acres just Minutes Away from Siesta Key Beach. 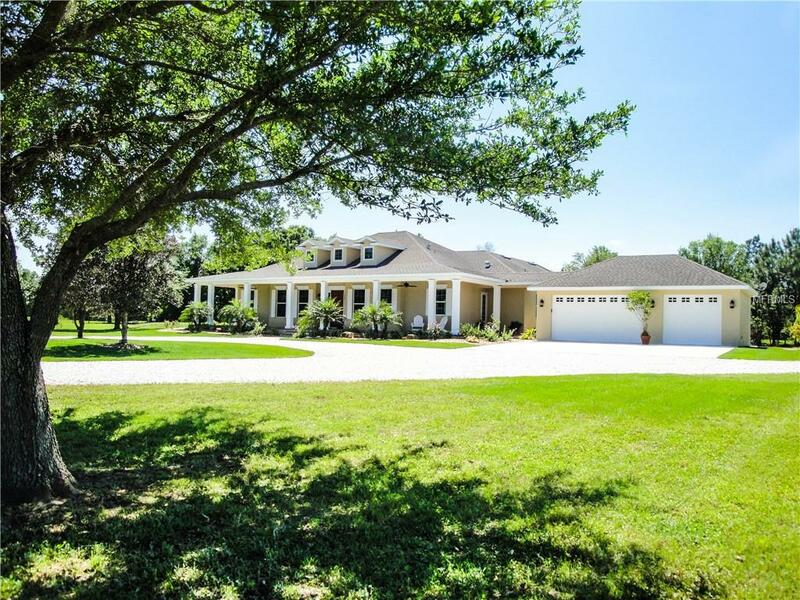 This Lovely Home Features: 3 Oversized Bedrooms, 3 Baths, Den, Bonus/Media (MAN CAVE) Room w/Built-ins & Pre-wired for Surround Sound, Formal Living & Dining Room w/Elegant Tray Ceilings, Wonderful Family Room w/Built-ins, Elegant Designer Maple Kitchen w/Granite Counters, Island w/Sink, Premium GE Monogram Stainless Appliances; Large Laundry w/Granite, Elegant Master Suite w/Tray Ceilings, Gigantic Walk-in Closet, Sumptuous 5-Piece Master Bath; Crown Moldings Galore, Music/Intercom System, Maple Wood Flooring, Central Vac, NEWER AC's, Interior/Exterior Paint, Carpet, All Brushed Nickel Faucets, Door Handles & Hinges, Light Fixtures & Ceiling Fans and Hot Water Heater; Solar Heated Salt Water Pool, Large Covered Lanais w/Out Door Kitchen, Huge Brick Paver Front Porch, Detached 3 Car Garage w/Attic Storage w/Sealed Garage Floor, Tropical Landscaping & Irrigation, New Circular Shell Drive, Newer Well Equipment w/Water Softener, Two 8x16 Raised Bed Vegetable Gardens, All New Board Fencing. 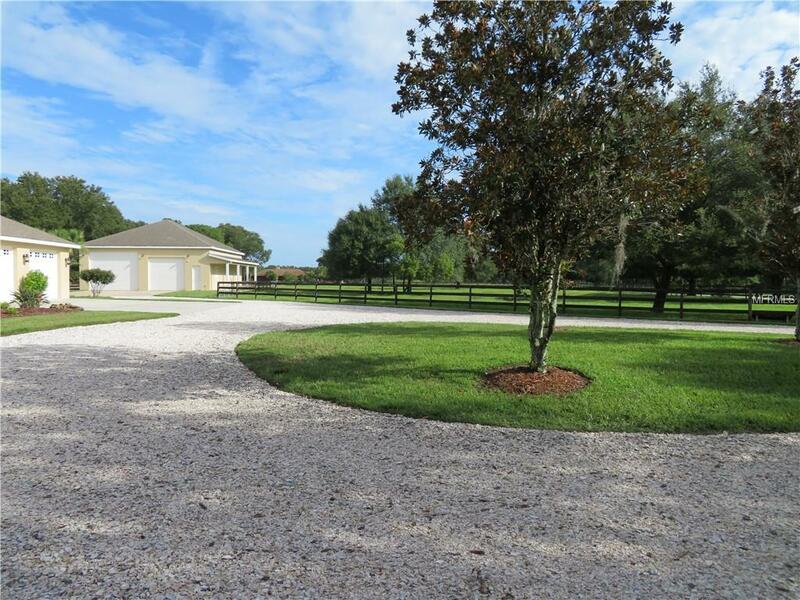 AWESOME 2000+SF Detached Dream Garage! Perfect for 2 RV's, Car Collector, Boat Enthusiast, Guest House or BARN Conversion. Accommodates: 12 Cars and more w/Lifts, Motor Coach RV's, Trailers, Boats and is Rough Plumbed for Bath and AC! 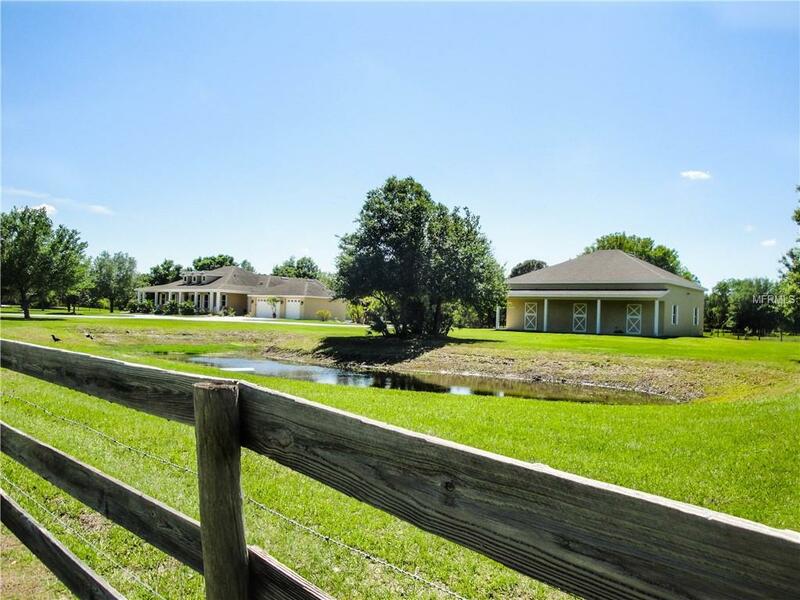 Community: 27 Miles of Groomed Horse Back Riding Trails. Pet Restrictions Horses Cows Sheep Chickens Dogs Cats Are All Permitted.